The Centre is a multinational entity with Italy, Albania and Slovenia as Sponsoring Nations. The project started in 2016 following the proposal from the Italian Minister of Defence for the creation of a NATO SFA COE with the aim to promote Stability and Reconstruction efforts for any crisis scenario and to become a SFA focal point for the Alliance. To complete the structure, in support of the Director, there is an Administrative/Personal/Public Information/Security Section, a Financial section, the Legal advisor and a Logistic support Section. In particular the Plans and Ops section gives advice to the NATO SFA COE COS for interacting with NATO bodies and International Organizations (UN, EAS, DPKO) and it coordinates with the ACT TNB for the development of the Program of Work. The section contributes to the growth of the Centre’s external cooperation with the main stakeholders. Standardization & Interoperability Branch supports national and multinational effort for the analysis and development of the standardization structure and process for the development and maintenance of NATO standards. The goal is developing publications, standards procedures and other documents in order to facilitate common understanding in fulfilling SFA activities interoperability in every operational environment and to propose amendments to concepts and standards for the following endorsement by the Strategic Commands. Concept Development & Doctrine Branch is responsible for developing doctrines, publications, and other documents in order to facilitate common understanding in fulfilling SFA activities in every operational environment, supporting and contributing to the development and validation of NATO and national policies, doctrines and concepts. Lessons Learned Branch analyzes and studies Lesson learned (LL) and Best Practices (BP); disseminates, shares and publishes LL; works in close cooperation with the Joint Analysis Lesson Learned Centre in Lisbon . In the CA & GA Section, the Gender expert gives advice on how to integrate international framework and guidelines concerning gender in military processes, procedures and products, assesses risks and occurrence of Conflict Related Sexual and Gender Based Violence and recommends actions and gives support to the Educational and Training branch in Gender perspective. Training & Education Branch provides education and training on site at the NATO SFA COE, instructors and Mobile Education and Training Teams (METT), develops and delivers courses, workshops, seminars, supporting NATO SFA operations and training, NATO courses accredited. 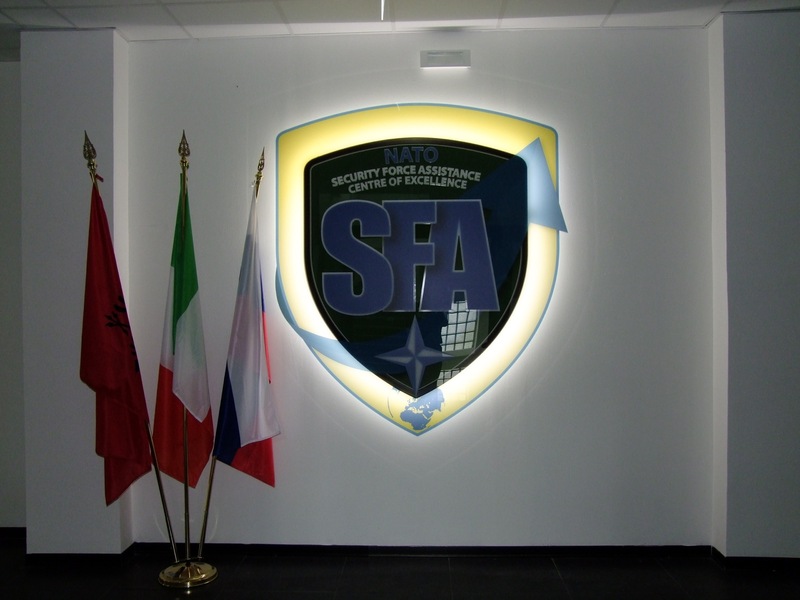 A psychology provides expertise for the selection and for defining the figures/positions of the personnel dedicated to SFA activities, in order to give support in the planning of educational programs and in the doctrine matters, to support the doctrine branch in defining the characteristics of the SFA operator.